It took us a little while to discover the joy of podcasts, but now that we have, we're hooked! Ideas, information and interviews, brought to us at our own desk (or, as it may be, kitchen table) at any time of the day, while we sip a cup of hot tea? YES PLEASE! If you're a blogger, or and indie business owner, this is the perfect podcast for you. The Blogtacular podcast celebrates the creative community. 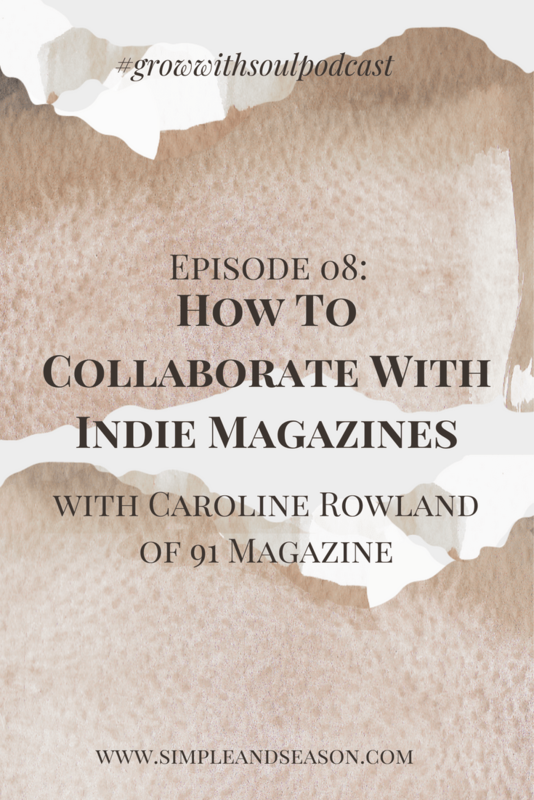 Each week, host Kat Molesworth interviews a talented creative, with guests to date including photographers Marte Marie Forsberg and Xanthe Berkeley, editor Lara Watson, and bloggers Fran Stone and Natalie Lue. You can catch up on episodes here, and you can subscribe to have every episode sent direct to your device. Content coach and Creative Mentor, Jen Carrington promises that 'this podcast is for you if you’re ready to build an impactful, fulfilling, and sustainable creative life.' Jen shares stories, insights, and conversations to encourage and empower you to make things happen for your creative life and business on your own terms, in your own way, and by your own rules. Blogger and author Emma Gannon (AKA Girl Lost in the City) hosts this podcast, on which you will find conversations with interesting guests who all have very unique stories to tell. At the heart of the conversation is how the Internet and social media have changed our lives and the lessons we’ve learned along the way (this is the focus of Emma's book, also called 'Ctrl Alt Delete'). Hosted by Guy Raz, The TED Radio Hour is based on the brilliant TED talks and is a journey through fascinating ideas: astonishing inventions, fresh approaches to old problems, new ways to think and create. Based on talks given by speakers on the TED stage, each show is centered on a common theme – such as the source of happiness, crowd-sourcing innovation, power shifts, or inexplicable connections. So, there you have it. HOURS of fascinating listening. If you're already a podcast addict, which ones would you suggest to your fellow creatives? We'd love to know.